Summer tour dates are here!! There are so many exciting shows on this list we’d love to highlight, including LA and NYC and a triumphant return to the Minnesota Zoo. It all culminates in what we're planning on being an amazing 3rd annual On The Ocean Festival in Portland, Maine. We’ll be joined across the tour by KOLARS, Rubblebucket, and Mikaela Davis. Tickets are on sale now except where noted. Head below for ticket links and more info. We're heading back to Portland, Maine from August 9th-11th for On The Ocean 2019! Saturday night's main (Maine?) event at Thompson's Point features TWO full sets - including a 20th anniversary Lost and Gone Forever full album set - along with special guests Rubblebucket, Kat Wright, Tall Heights, and Weakened Friends. Saturday will also include a Joe’s Place Stage with music from Joe Pisapia, Spicy V’s Hot Sauce Contest (in collaboration with Butterfly Bakery of Vermont), a lobster bake, food trucks, family games, and more. We'll kick things off on Friday night with an intimate acoustic concert at Portland's First Parish Church and then wind down the weekend on Sunday with events including a Reverb service project with Adam, an island bike ride with Luke, and a Moth-style storytellers event hosted by The Thundergod himself. More to come on those very soon! So how can you attend? Tickets for Friday's show at First Parish Church are SOLD OUT, but tickets for the big event at Thompson's Point on Saturday are still available and on sale now. (in best infomercial voice) BUT WAIT! THERE'S MORE! We're doing a free afterparty on Saturday night at Halo At The Point featuring amazing internationally-acclaimed EDM supergroup PIPPI, who will be making their first ever amazing public appearance. Everyone loved Mast Landing Brewing Company's Big Friendly Pale Ale, so they'll be back for 2019 with a tasty new creation. RSVP and invite and your friends to the official On The Ocean Facebook event below to get all the latest updates. Want to make the trek to On The Ocean, but don’t have anyone to go with? 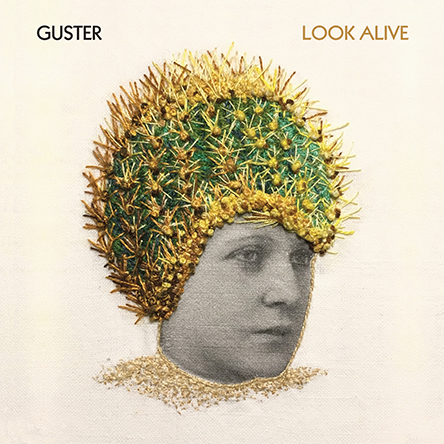 Connect with fellow Guster fans who will also be there in the Official Guster Fan2Fan Reboot. The band’s original demo tape—complete with a doll in a field of asparagus—was made to get a spot in a Battle of the Bands at Tufts. They didn’t get in. The sounds of a ping pong game can be heard on the outro of “Airport Song.” Because of this, it’s become a tradition for fans to throw ping pong balls at the band during live performances of this song. Ryan once ate 23 soup dumplings in one sitting. Brian was fired from his very first job (painting houses) for dripping paint onto a customer’s piano. Ryan wrote the film soundtrack for Safety Not Guaranteed for director Colin Trevorrow, whose next project was Jurassic World. Air Supply was Brian’s first concert. On the Ocean 2018 Recap! It was a thrilling 48 hours in Maine this year. Conditions were extreme! We met so many people and played our asses off. Let’s take a tour of On the Ocean 2018, shall we? Dustin’ off the studio journal for this one. A few months ago when the weather got really cold in Brooklyn my neighbor’s pipes exploded and dumped a foot of water into my basement. This is the same basement where we wrote Evermotion and did some work on the still-unmixed-still-unnamed new album. Here’s a video of my suffering. That’s me suffering in blue pants.